We offered a warranty 10 years body leakage and 1 year of other parts for Sento standard products. This warranty will not respond in the case of faults caused by unsuitable or improper use, wrong installation,natural wears, improper or careless treatments, wrong usage of cleaning or maintenance products. Currently we accept Paypal and Western union, and T/T to bank account. 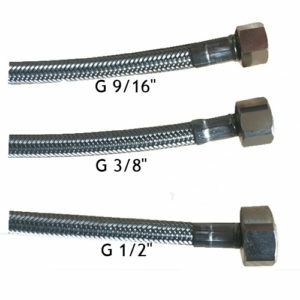 Check and know connector size of hot/code waterlines to your supply pipe. if without request statement from buyers,we will offer by default as below and will not replace for you unless you pay the freight.